I received a video notification the other day that I felt ought to be passed on. 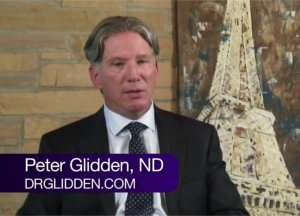 Dr. Peter Glidden opens the interview discussing the growing number of anti-depressant prescriptions. The discussion leads to the reason for the increased number of prescriptions and finally the foods he says to stop eating immediately as they could be the cause to so many negative health conditions. The message received was in the form of a video by Dr. Peter Glidden who explains in no uncertain terms why we ALL need minerals – plant based minerals to help with health and health problems. He also goes on to explain why a group of foods we are expected to eat has such a bad effect on our bodies and even our minds. We have been taught this over the last ten or so years and when I first heard it, coming from a farming family, it was hard to understand! But the detail needs to be considered and I urge you to watch the video on the link below. Everyone Should Stop Eating These Foods! Once watched – bear in mind the details Dr Glidden says about minerals…. It’s right that minerals are probably not the only requirement for good health and help with a cancer situation. So – We need that minimum number of minerals (PLANT DERIVED) each day just to maintain a disease free state (that is not necessarily fighting fit state. For that we need more than 75). Many of you will be aware of our connection to Simply Naturals and the Sizzling Mineral products that are having such a result for those who take them. Testimonials for different health issues here. We have those available for you and I would ask you to just try them for a good 6 month period to see how you go – at around 80p per day that’s a LOT less than that cuppa coffee in the high street!! To try the minerals click here. Notice I mention a good 6 month period! That is not to try to make you buy more! It’s because very often people do not realise these plant derived minerals are doing anything… There is not always a “WOW I feel this” or “I feel that is better” moment. They don’t work like that – they work on your body in the way they should by repairing and improving the body systems to work well or better than they may have been…Read those testimonials and just see what they can do..
Ok – enough from me – watch that video first and try the minerals!